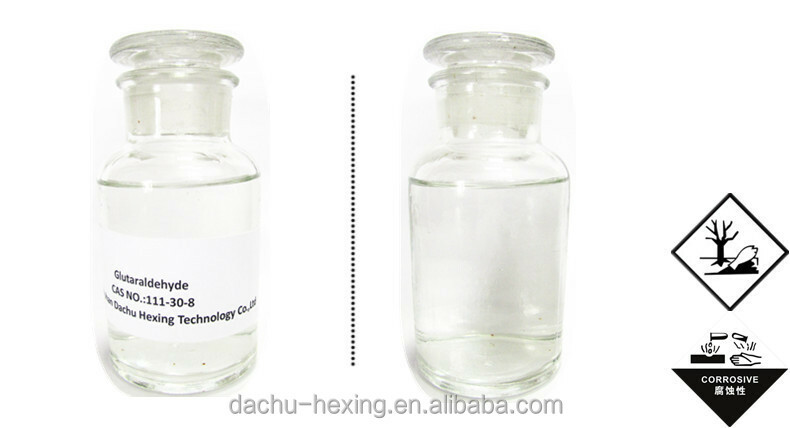 1.Glutaraldehyde is colorless or yellowish clear and bright liquid with slight irritating smell, and can be dissolved in organic dissolvent such as water, ether and ethanol. 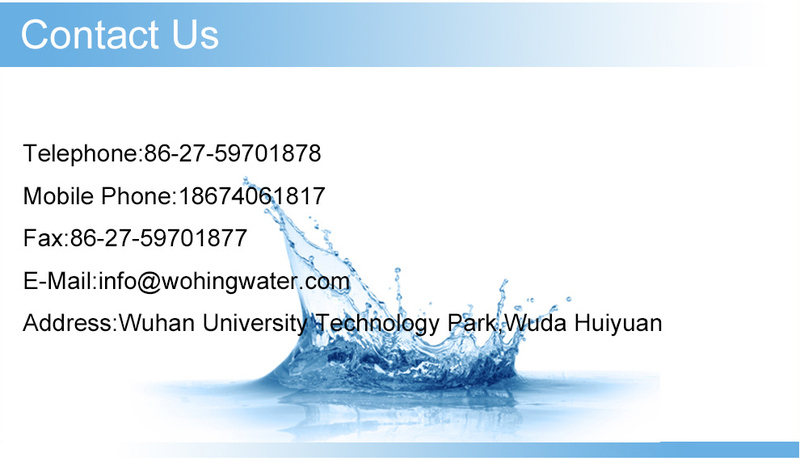 2.In water solution, Glutaraldehyde doesn't exist much in free state; instead, Glutaraldehyde makes appearance as hydrates with different forms, and most of them are hydrates with annular structure. 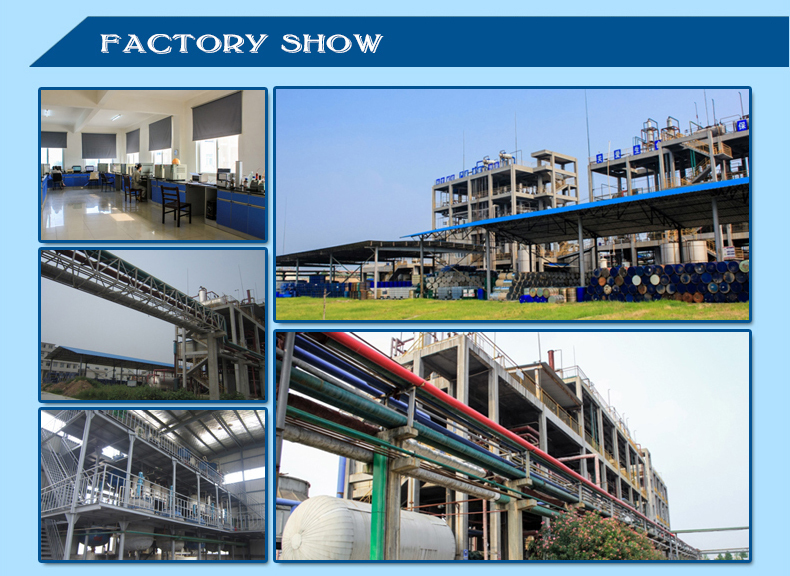 3.Glutaraldehyde is reactive in property, and liable to polymerize and oxidize, which will react with compounds containing active oxygen and nitrogen. The reaction of the product with protein is mainly carried out between the carbonyl group of the former and the amino group of the latter. Among the known aldehydes, the product is one of the best cross-linking agents for proteins. 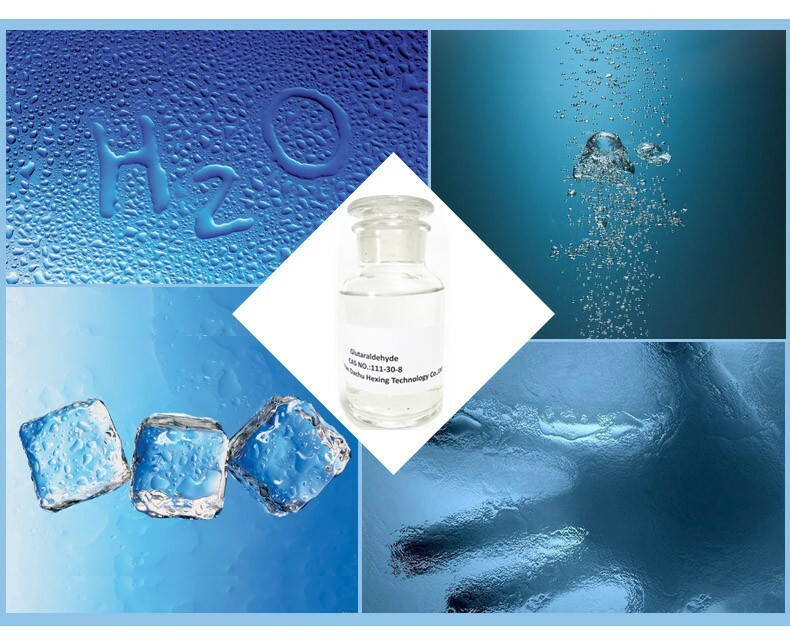 4.Glutaraldehyde has a small influence on the activity of enzyme, and most of enzymes can be fixed under controlled condition, to cross-link without losing their activity. 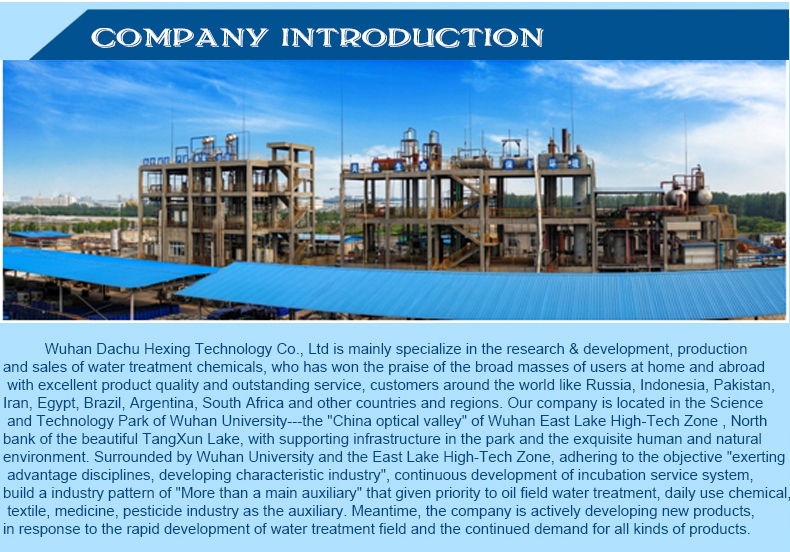 Contributing to its outstanding characteristics, the product has drawn special concern from people and been put at broad application. 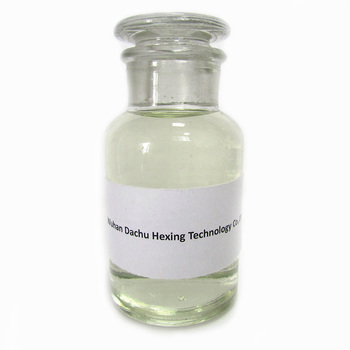 As bactericide, disinfector, cross-linker for protein, leather tanning agent ---- widely used in petroleum exploitation, leather treatment, and electronic industry. 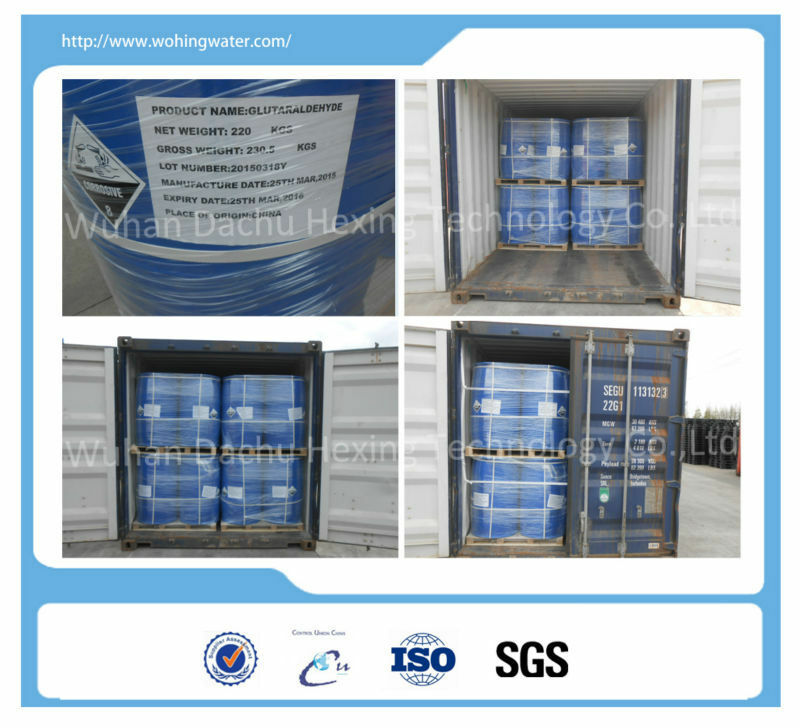 3.Glutaraldehyde 50% has a shelf life of 12 months in unopened, original containers and kept below 25ºC. Ensure thorough ventilation of stores and work areas. Avoid aerosol formation and keep under inert gas. 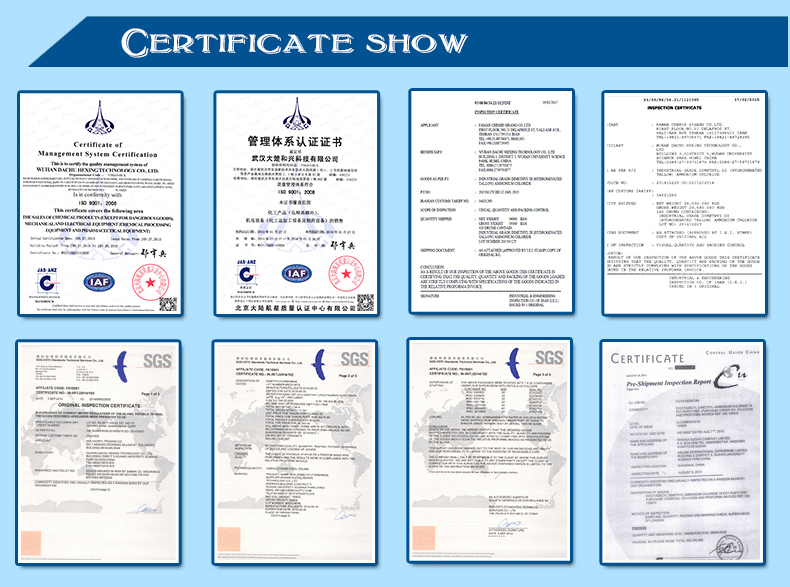 Always refer to the Material Safety Data Sheet (MSDS) for detailed information on handling and disposal.